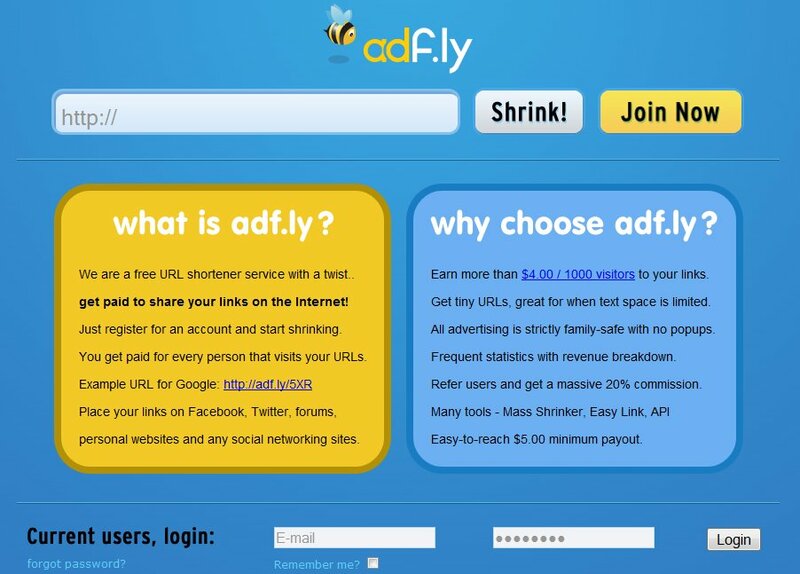 Heard of Adf.ly? Probably you have heard of this money making site. And if you haven't then I'll tell you a little about this site. ADf.ly is a program that pays you $4 for every 1000 clicks/impressions/view for every shortened URL. There's a Payout Rate on the site, and you can check that one. It pays more if the visits come for the United States. Investments? You don't need any investment for this money making program.You just JOIN, and start shortening/shrinking URLs, then promote them, share them on facebook, on twitter, on forums, anywhere, and get paid. Minimum payout is only $5 and they pay every month. Is Adf.ly, a scam? No no, it's not a scam. I've been paid a couple of times. Here, check my payment proof. Just right click and open. Adf.ly is very strict. You have to read the facts, the rules carefully. As for ADf.ly Bots or programs that you just run and makes the money for you, yes, there are tons of Adf.ly bots 2012 online, and they seem to really work. But haven't tried them and I never will. It's such a risky thing to do. So i dare not download Adf.ly bots. There are tons of these on mediafire, rapidshare, megaupload, and even on youtube, but do so at your own risk. Your adf.ly accoung might be banned. In my next article I will share to you tips on how to make $5 a day with Adf.ly. You can even make more. It really depends on your hard work. 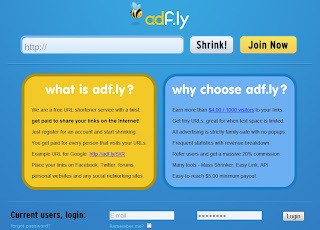 For all those who will sign up using my referral link which is right here ---->>>JOIN ADF.LY HERE. I will try to personally coach you with the methods I use. thannx..it was helpful...but i want to know,whether they pay by check? or paypal is needed?